The end of an era, the start of another. That is the quote running the lips of millions of Manchester United fans across the world. How will they fare under David Moyes? Read below for our preview. Manchester United fans have had varied views on the lack of activity in the transfer window from David Moyes and co. It is tough though, coming in to a big a club as the Red Devils and not knowing which players will be suitable for the job. David de Gea really matured last season, he may have had a shaky first year at Old Trafford, but we now know why Sir Alex believed in him. In my opinion he is second to Hugo Lloris as the best shot-stopper in the division. A few weeks ago, it appeared left-back Patrice Evra was set for a return to Monaco. That is still the case, but the interest has cooled significantly. Nemanja Vidic is not as good as he was and he might not be a regular this season. The youth centre backs now have experience and the likes of Jonny Evans, Chris Smalling and Phil Jones might be about to make the big leap from cup players to regular starters alongside the ever consistent Rio Ferdinand. Rafael matured as well last season and has cemented his position in the team. Guilherme Varela has been brought in for extra cover for the Brazillian. United have been linked with ex premier league superstars such as Luka Modric and Cesc Fabregas this summer but both moves failed to materialise. That is what I think the problem is with their transfer activity every year. Sure, they bought Robin van Persie and Shinji Kagawa last year, but most years it's the same story, they get linked with big names but don't even make a move. Unless they bring in some genuine quality to the midfield such as Mesut Ozil or Arturo Vidal, their midfield of Carrick, Giggs, Kagawa, Valencia and Young will not be able to compete with the Schweinsteigers and Iniestas of Europe. It is better up front though. Robin van Persie seems to improve every single season and I am tipping him to be the top scorer again this year. Javier Hernandez, he must be given a run in the side because he was primarily used as a third or fourth striker by Sir Alex Ferguson. If he played regularly, he would be bagging 20 goals a season because of the type of player he is. Danny Welbeck is also very promising and is gradually becoming a mould of Ruud van Nistelrooy. I really think Wayne Rooney should be allowed to leave. If a player is not happy, it affects the morale of the squad and distracts them. Chelsea do need a striker anyway, so Man United might as well slap a big price tag on the 27 year old. 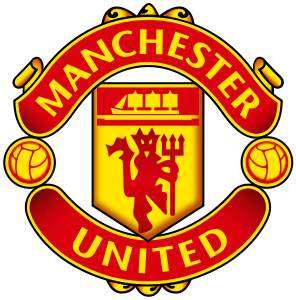 Although Manchester United fans have grown accustomed to seeing their team win silverware, this is the start of a trophy drought for the Red Devils. I think they will still challenge for the title, but ultimately replicate Manchester City's season from last year.